Our Ayurveda doctor’s office – managed by Dr. med. Harsha Gramminger – offers ambulant consultation on a daily basis. Ayurveda observes illnesses in a holistic way and divides into rational, mental and spiritual therapies. In addition psychology, massage therapies, meditation and breathing techniques as well as yoga are part of ayurvedic treatment. Dr. med. Harsha Gramminger coaches her patient to look at a disease in its entirety. Medicine, nutrition and the way of living are influencing our status of health. Running medication will be taken into account and if necessary by ayurvedic products of euroved supplemented. After a first consultation additional consultations in a rhythm of 2 to 4 weeks will follow. Meanwhile the therapy plan will show first positive results. Consultations will be charged on regulations of GOÄ (german scale of charges for doctors). In case of specific wishes, Dr. med. Harsha Gramminger, practices the ayurvedic doctrine. Please contact our euroved team. Health, fitness, and happiness are at the top of your wish list? 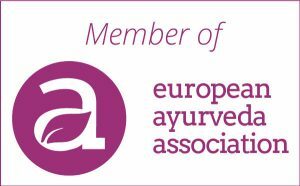 Then subscribe to euroved’s free Ayurveda newsletter with regular tips, recipes, events, and offers!